Pipette Stand Horizontal is detachable Stand which can hold 12 pipettes, 6 on each side, in a horizontal position. Moulded in Polypropylene, this autoclavable stand has two sides which are attached to each other with three metallic rods coated with Polypropylene. This stand can be easily disassembled for space saving storage. 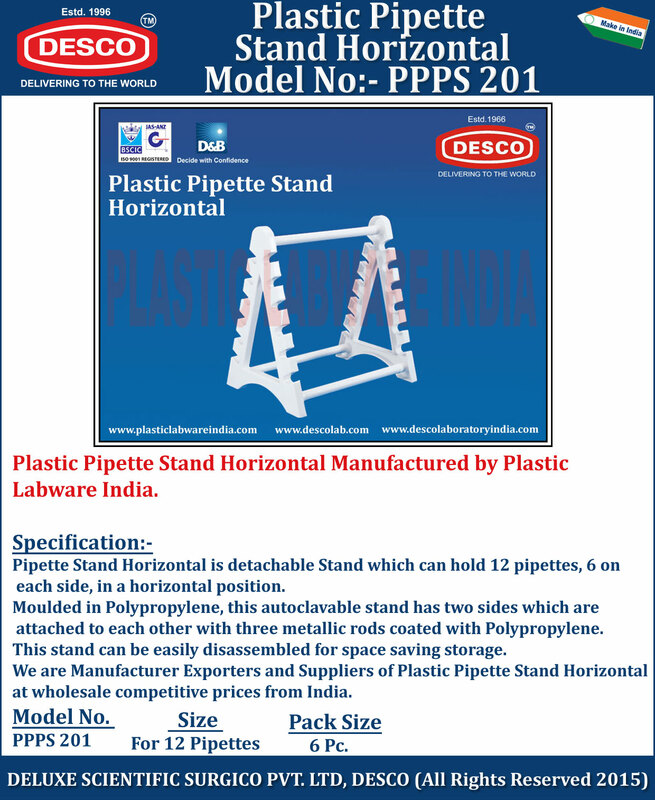 We are Manufacturer Exporters and Suppliers of Plastic Pipette Stand Horizontal at wholesale competitive prices from India. PPPS 201 For 12 Pipettes 6 Pc.